According to retargeting platform AdRoll, only 2% of shoppers typically convert on their first visit to an online store. That's a lot of people slipping through the cracks. What's a marketer to do? Enter retargeting. Retargeting allows you to zero in on those 98% of visitors, giving them a second (and in some cases third, fourth, and fifth) chance to convert. Here's how retargeting works: It allows you to show targeted ads to potential customers via search, social media, and other websites. They see them, click back to your website, and then (hopefully) convert. Retargeting helps you stay connected and engaged with your audience, and increase brand recall and conversions -- feeding all stages of your marketing funnel. With so much opportunity with retargeting, it's hard to decide on which types of campaigns to run. To help, we’ve put together a list of things you should try to maximise the effectiveness of your retargeting strategies. Check them out below. Pixel-based retargeting is a way to redisplay your material to any anonymous site visitor. This is the most common form of retargeting, and will be familiar to anyone retargeting through Google's display network (Note: Google refers to retargeting as ‘remarketing’). Pixel-based retargeting is also available on Facebook and Twitter. It is also more accessible for new inbound marketers, as list-based retargeting (discussed below) really relies on you having a large list of email addresses. 1) Promote your best content. Traditionally, retargeting ads are used to push products -- but that's not the only thing you can use them for. Why not use retargeting to drive people towards blog content, for example? After all, that’s where many of your leads are likely to originate, right? Larry Kim of Wordstream reported a 50% increase in repeat visitors, a 300% increase in time on site, and a 51% increase in conversion rate by promoting his content using retargeting. 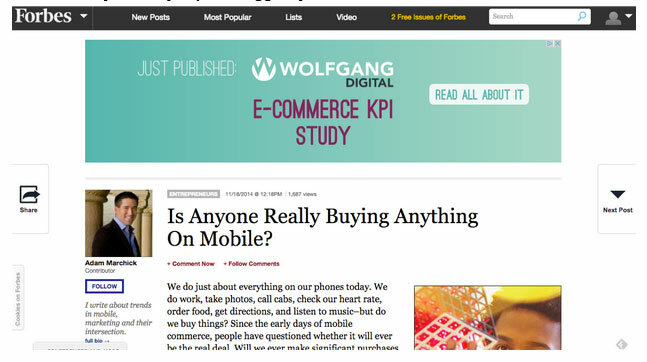 Below is an example of Irish Digital Marketing agency, Wolfgang Digital, using retargeting to promote a new piece of content. They targeted everybody who visited the website and then excluded those who had already read the study. The retargeting ad below was combined with contextual targeting, which meant the ad was only shown to the user when they were reading relevant content. Some of these ads got a clickthrough rate (CTR) of 0.8%, which is double what some industry experts suggest you should aim for. But how do you figure out what content should be promoted using retargeting ads? Simple. Sure, you can use your brand new content in your retargeting, but you should also dig into your analytics and figure out which pieces of content are most popular in terms of social shares and conversion rate. You can then include these in your retargeting ads. 2) Promote specific content based on the types of pages people have visited on your website. Imagine you’re a clothing retailer. Why not create lists out of your product categories? For example, you could create a retargeting list for those who visit any page within the shoe category and another for any page within the jackets category. You could then deliver ads showing shoes to the first list, and jackets to the other. This ensures you're always delivering relevant content to the right people -- which improves the ROI of your retargeting efforts. You can also take this a step further. By using services like AdRoll’s Liquid Ads, you can also ensure that past visitors are shown the exact items they were looking for. This can be incredibly effective, especially in ecommerce. Apparel company Cubbies Shorts has seen great results with these kinds of ads, seeing a 10.5X lift in ROI, as well as a 33% lower cost per acquisition (CPA) than industry average. This means that compared to other channels, the cost to get a website visitor to complete a purchase on the site was lower with retargeting. One campaign in particular delivered a 35.5X lift in ROI. There are other ways to implement this type of targeting -- this is just one way you could do it. 3) Pull people through the funnel. Imagine this; a person visits your a page on your website that's about an industry topic, but the person doesn’t convert. These people are still very much at the top of the funnel. Why not set up retargeting ads on Facebook, Twitter and/or Google to drive these people to a blog post on that same topic? If they get there, but still don’t convert, try retargeting to them to drive them to a downloadable ebook on the same topic. If they don’t convert at this stage, drive them to a consultation or a free trial. This is a really simplistic way of mapping out a retargeting path, and you can add more steps to it depending on your funnel. Nevertheless, it is a strategic and smart way to use retargeting rather than focusing on just the top or bottom of the funnel. In marketing, time is always of the essence. Online flower retailer, 1-800-Flowers, saw great success capitalising on Mother’s Day using Twitter retargeting ads, seeing a significant drop in cost per acquisition (CPA). This can also work well for events. Consider HubSpot. 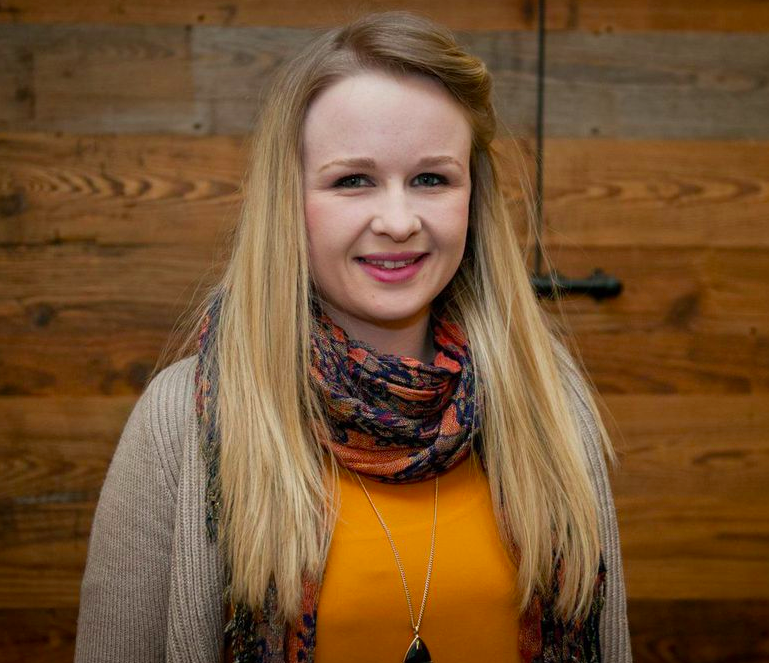 We could run a retargeting campaign in the run up to our Inbound15 event. We could retarget people who have visited the Register page but not registered, and offer them a discount. This can work for all types of industries - just think about how you could leverage your products at different times of the year. It can also be a good strategy to keep in mind when retargeting using lists, which is discussed below. 5) Exclude visitors who have spent less than 10 seconds on your site. People who spend a short amount of time on your site are unlikely to be as interested in what you have to offer as someone who spends a minute on your site. Therefore, by retargeting to them, you could be wasting budget. Test different time frames here -- if you’re going through your budget quickly with poor results, increase the time parameter. You could also exclude people who have bounced from your website, as they -- compared to people who haven’t bounced -- are more likely to be more interested in what you have to offer. To do this, you will need to set up some Google Analytics lists and import them into your Google Analytics account. This takes a little extra work, but you can create some really sophisticated lists using this method. Google has a really good guide on how to do this, which you can read here. 6) Target people who open your emails. By dropping your retargeting pixel into the HTML template or signature of your email, you can target people who open your emails. This is effective as you are targeting people who were interested in you enough to open your email in the first place. This can be done quite simply using retargeting platforms such as Perfect Audience. There are also some more advanced ways you can use email retargeting, especially for cart abandonment in e-commerce. Moz has a great post full of case studies on how some businesses have increased conversion rates by up to 200% using email retargeting. You can also use lists of your existing contacts for certain types of retargeting ads. The way that works is you upload a list of the email addresses to a retargeting campaign platform (usually on a social network like Facebook or Twitter), and the platform will identify users on that network who have those addresses and serve retargeting ads just to them. List-based retargeting comes with a caveat, however. It relies on you having the email addresses your prospects use to manage their social media. Much of the time, they’ll use one email address for social media and another for everything else. For this reason, list-based retargeting relies on large email address lists to be effective -- the more email addresses you have, the more likely you are to find matches. 7) Exclude customers, subscribers, and/or people who have already converted. This is the first thing you should do when you’re setting up a list-based retargeting campaign, but many people don’t even think about doing it. If you are building a lead generation campaign, add your current list of customers, subscribers, and converted contacts as a negative retargeting list. This will ensure that you do not waste budget on an irrelevant audience. 8) Feature a familiar name and/or face. If you have a salesperson who has been in contact with lots of people who haven’t converted, you could create a list of these people and target ads at them. 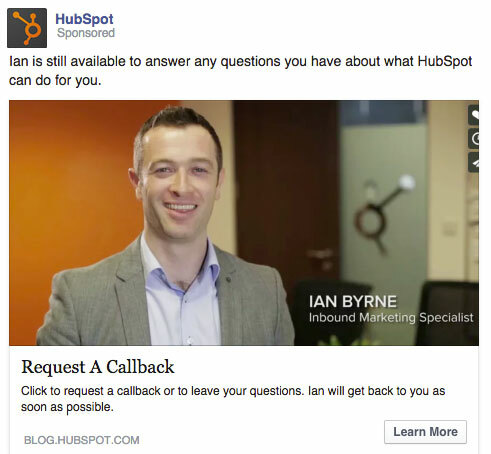 Your ads could feature a picture of the sales person with messaging such as “Ian is still here to answer your questions” and a call-to-action (CTA) to request a callback. 10) Reward your top customers/brand evangelists. If you have customers who are very loyal and spend lots of money with you on a regular basis, you could target these people by offering them a repeat purchase or renewal discount via a retargeting ad. Likewise, you may want to reward people who share your content all the time in a similar way. 11) Cross-sell and upsell to customers. Imagine you are a HR software provider. You have a list of customers who have purchased your recruitment software. You could use their email addresses to create a retargeting list and show them ads driving them towards considering your talent management software. Or imagine you are a health insurance provider. You offer three plans; gold, silver, and bronze. You could target the silver customers with ads as they come close to their policy renewal to push them towards considering the gold package. Note: This is just one way of using retargeting to cross-sell and upsell to customers. It is also possible using pixel-based retargeting. 12) Target people who don’t open your emails. If you have a list of contacts who are not opening your emails, a smart strategy is to retarget those people using Facebook Ads. They may just be missing your emails due to them going into the promotions tab in Gmail, or into their spam folder. Simply upload your contact list to Facebook ads to create a Custom Audience and create your ad. Using Facebook Exchange, it is also simple to target those who open your emails. Jon Loomer has a great guide on how to do this. 13) Target your LinkedIn Connections. It’s a well-kept secret that you can download a list of your LinkedIn connections and their email addresses. You can then use this list to create a Custom Audience for your Facebook or Twitter ads and drive them towards a landing page on your website. Do you have any smart retargeting tips? Share them with us in the comments below.